It takes a stiff measure of what major corporations call "product confidence" to suggest a regatta from Ft. Lauderdale to the Bahamas on a set date in the Spring. 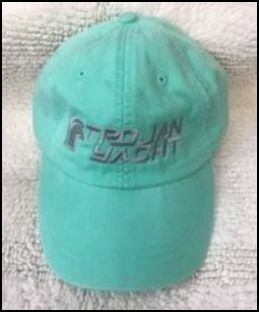 Yet, that's exactly what Trojan Yacht dreamed up for its boat owners by scheduling the first-ever Trojan Rendezvous on April 14 in Bimini. The Gulf Stream loves to frolic like a young colt at this time of year, and by dawn on Rendezvous day, 25-knot southerly breezes had kicked up six to eight foot close rollers just a home run's distance off Port Everglades. Billed as a friendly, 20-boat tandem cruise to the islands for three days of fun and games, the 1983 Trojan Rendezvous turned into a true test of the entire Trojan line - from vintage F-28 Sedans to 9 and 10 Meter Internationals - and of their ability to weather a 55-mile blue water bruising. 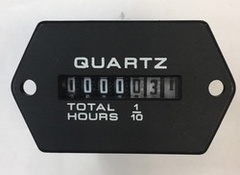 The Rendezvous and the 9 Meter - the newest International at the time - are old news by now, especially with a company like Trojan, where new products and new processes are an almost daily proposition. The fleet came through with flying colors; a smashing good time was had by all, and the frisky 9 Meter has already been branded a success - like the trend-setting 10 Meter before it. The big news is the launching of the first 11 Meter International - a milestone in the establishment of a carefully conceived family of distinctive sport cruisers that will soon stretch from 29 to 50 feet and encompass dozens of model variations. With the introduction of a larger International model (37.5 feet), rather than a smaller, as with the 9 Meter (29.5 feet), Trojan has erased any lingering skepticism about the viability of its commitment to a striking new look in American pleasure boating. Certainly, no one takes greater satisfaction from the 11's debut than Trojan President, Don Seith. For Seith, the 11 Meter is icing on the cake - proof positive that the gamble he proposed three years ago, when business at Trojan was at an ebb, has more than paid off for the Lancaster, Pa., firm (and for its parent, the Whittaker Corp., which bankrolled the bet). 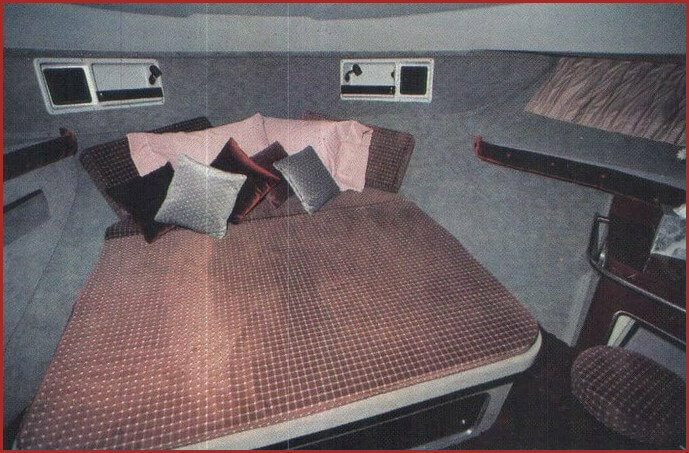 In 1980, when Trojan's production lines had almost ground to a halt, Don Seith was introduced by former Motor Boating and Sailing editor, Pete Smyth, to naval architect Harry Schoell - an innovative designer with infectious self-confidence and computer-like foresight, whose mind, it seems, leaps nonstop from revolutionary hull shapes to revolutionary styling and materials to revolutionary construction techniques and propulsion systems. 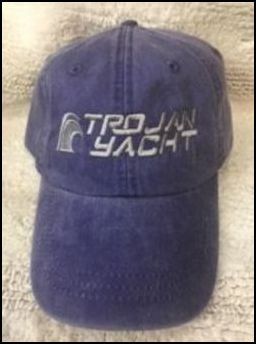 At the beginning of 1979, Trojan had a firm grip on the pulse of a dwindling number of loyal middle-income cruising families whose purchasing power had all but evaporated. The boats, from 25 to 47 feet, were well-made, efficient, practical and almost self-consciously uninspiring. At the beginning of 1981, however, Trojan burst out of the closet with a 33-foot boat—the ultra-futuristic 10 Meter International—that defied convention and catapulted the venerable builder into an orbit of its own somewhere beyond the radical fringe. At the boat's debut in Miami, fellow builders were duly impressed with Don Seith's show stopper. "Fantastic ... terrific .. . super," they said. "I've since learned that they all thought I was out of my mind," laughs Seith. 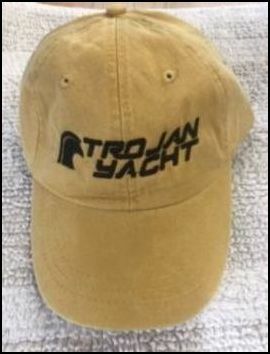 The industry's raised eyebrows have turned into frowns of consternation and envy (notice how many gray boats are cropping up) at Trojan's success. As it turned out, Seith's folly was akin to Fulton's: Trojan is currently turning out four 10 Meters and two 9 Meters every week. 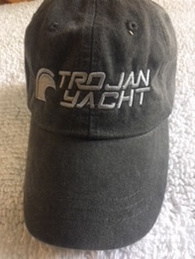 The first step in the two-year turn-around that occurred between Seith's first ride on a Schoell-designed boat and the unveiling of the 10 Meter was to convince Whittaker to risk investing in new tooling and a new image unlike anything ever associated with the Trojan name. "We were looking for something different," says Seith. "We wanted to leap ahead ... to break out of our traditional look." "In addition to modern styling and design, we were looking for fast, efficient performance and a soft yet stable ride offshore," explains Seith. Schoell's patented DeltaConic hull - a conical bow married to constant-deadrise (14 degrees on the 10 and 11 Meters) Delta panels with wide, reverse-angle chines - which works as well for 20-footers as 80-footers, was exactly what Seith was looking for. Along with the DeltaConic shape, Schoell has shared an endless stream of novel concepts with Trojan - such as exhaust side-dumping, modular liners, curved contours where angles had always reigned, molded-in ductwork, push-button doors and windows, vacuum bonding, total access to all mechanical and electrical systems, developed panel construction, new balsa core lamination techniques, vinylester resin in conjunction with unidirectional fiberglass, solid core fiberglass stringers, fiberglass struts, fiber glass rudders, fiberglass props, shafts, cleats and bulkheads - many of which have been incorporated into the 9, 10 and 11 Meter Internationals, and many more of which will be evident on the forthcoming 13 and 15 Meter models. The progression of the International line reads like a Biblical family tree: The 10 Meter Express begat the 10 Meter Sedan that begat the 10 Meter Aft-Cabin that begat the 10 Meter Sedan Aft-Cabin that begat the 10 Meter Sport Fisherman that begat... 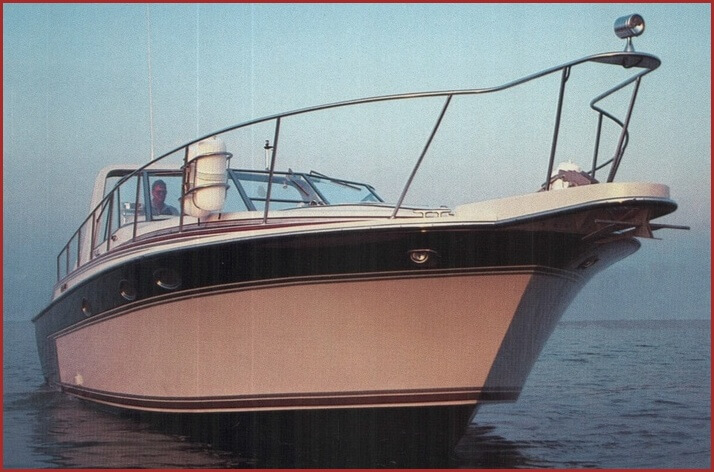 This parenthood was carefully planned by Harry Schoell in the basic design of the Internationals - a notch here, a style line there, and presto-chango, you can attach a radar arch or a hard top and flying bridge; or put up a glass bulkhead or even drop in an aft cabin - everything has been provided for. This mix-and-match capability requires creative engineering and the ability to think modularly. The graceful integration of separate units - including bolt-in cockpit furniture, tackle lockers, freezers, side storage bins surround the cockpit wet bars and bait prep stations - coupled with a wide choice of striking hull graphics and interior color schemes, gives Trojan the slickest production line customizing system in the business. "Our new versions grow exponentially from year to year - the introduction of one new model is actually the introduction of five new models," says Seith. Like the 10 Meter, the 11 is about equally divided between cabin and cockpit areas, with a step in the sole between the helm level and the cockpit proper. The 11's DeltaConic hull is the first full balsa core bottom Trojan has attempted on a production basis. The lamination process - a collaboration between Schoell Marine, Trojan engineering and Baltek - uses vinylester resin and conventional fiberglass mat. "We've achieved a 20 percent hull weight savings over solid laminate," claims Ron Pickle. Other assets are stiffness and durability. The cockpit coaming is lavishly padded - an International trademark - and there are under-sole storage spaces outboard of the aluminum 350-gallon main fuel tank that can accommodate removable fish boxes on the Sport Fisherman model, and that feature built-in hardware to secure a second anchor. Access to fuel tank connections, steering system reservoir and rudder posts is quick and easy. Side storage bins surround the cockpit and both salt and fresh water spigots are present. Two new features on the 11 are a fiberglass swim platform instead of teak and a redesigned instrument console with a sturdier look. The forward cabin entrance is centered instead of to port as on the 10 Meter. Access is similar, however - via a curved, sliding Plexiglas door that stands out as one of the most practical and attractive features on any boat anywhere. 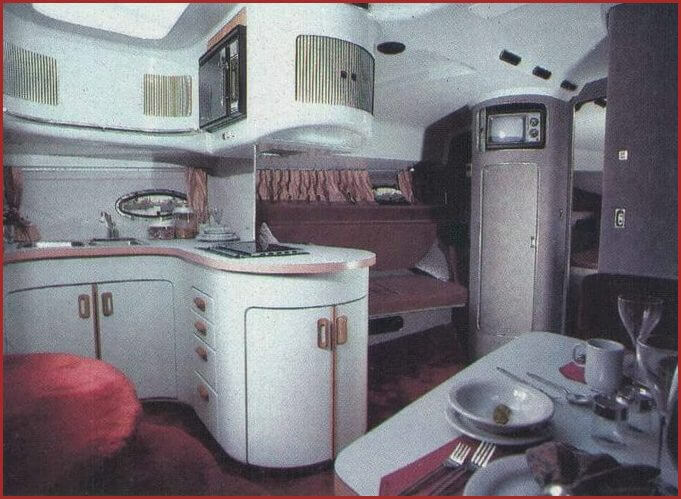 Three curved steps (generously deep in the middle) with space-age strip lighting beneath the tread lips lead down to the carpeted saloon/galley/dinette level. Accommodations on Internationals are to traditional cabin arrangements what theater-in-the-round is to the classic proscenium setup. You feel like you're in the center of a circle since there are so few square corners. The galley area is to port, with an eye-level fridge/freezer on the aft bulkhead. A curved counter with storage beneath extends into the saloon and houses the two-burner stove; a standard microwave is built into an overhang that follows the line of the counter and contains additional storage space and lighting. A double stainless steel sink is at the end of the U formed by the counter, and a milky white Plexiglas skylight makes the area bright and airy. On the starboard side of the steps is a rounded dinette that converts to a double berth (bringing sleeping capacity to six). 12V/110V electrical panel (identical to the 10 Meter's, which keeps costs down) is on the side wall over the dinette. Trojan is especially proud of its wiring system and the thorough information and documentation it provides to buyers. Forward of the galley is a built-in settee with storage compartments that converts to upper and lower berths, and a curved hanging locker. Forward of the dinette is the modular head with smooth, rounded surfaces that look clean and uncluttered. The shower is rounded and has an overhead light, a teak grate, and ample headroom (as does the entire interior). There are mirrored cabinets at a good height even for a six-footer over the Mansfield vacuum flush toilet and the vanity. The forward stateroom has also been given a rounded look - with a curved forward bulkhead (anchor line access is from the foredeck) and a milky white Plexiglas hatch. The bed has storage room under the mattress and pulls out at the foot to accommodate an extra leaf for a full-size double. Reading lights, stereo speakers and storage compartments are over the bed, and a small dressing table with sink, pop-up mirror and swing-out bench is to starboard opposite a hanging locker with side shelves. Eight air conditioning vents are molded into the fiberglass headliner. The curved doors to the head and state room are Trojan's distinctive push-button type, but are pneumatic instead of electric as on the 10 Meter. A compressed-air cylinder with an automatic pump is located in the stateroom bilge and is easily accessible. Our test boat was powered by twin 450-hp Johnson and Towers GM6-71TI diesels. "We wanted to do the hard one first," explains Ron Pickle. Smaller options are 350-hp Crusader gas engines (standard) and 300-hp 4-7 I TI diesels. With 24x28 cupped props the 11 was clocked at 38 mph at 2,500 rpm with tanks three quarters full and three people aboard. In the engine room, all dipsticks, filters, strainers, fills, seacocks and coolant level checks are inboard and within easy reach. A Halon fire extinguisher system is standard. An optional 7.7 kW Westerbeke generator is mounted between the engines on the aft end. The floor in the engine room is of diamond-pattern fiberglass, and the L-shaped stringers, which are fabricated on a 40-foot table and then cut to size, are solid fiberglass. The calm water of the Chesapeake offered little in the way of head seas, but turning and tracking at all speeds were smooth and surefooted. There is no reason to doubt that offshore performance will equal that of the proven 10 Meter. The 11 Meter has benefited from Trojan's three years of experience with the 10 Meter. Refinements such as new air conditioning ducts with improved insulation make it an even more sophisticated boat than its predecessor. Before launching the International line, Trojan did extensive research on both the demographics and the "psychographics" of the market. "We have attracted the buyers we thought we would," says Seith. Many of them are past high-performance owners who appreciate the spacious accommodations that the beamy Internationals offer. Others are attracted to the "sport cruiser" concept - a racy look, good speed, state-of-the-art technology and practicality all in a single package. "Above all," says Seith, "they are individualists - mostly entrepreneurs - who want to make a statement with their boat." A 13 Meter International is now being built, and a 15 Meter panel-developed model should appear early next year. Panel development - which Harry Schoell has used on his experimental 20 Meter motor sailer (MB&S, March 1983) that is near completion - is a labor-intensive construction process that eliminates the need for a costly hull mold. 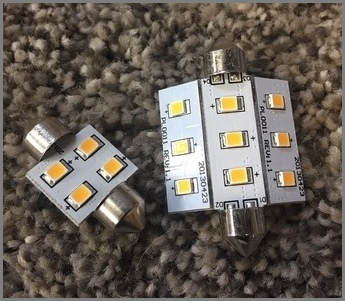 If this approach proves successful on the 15, it will be another revolutionary production coup for a firm that has had the temerity to grapple with techniques still deemed too risky by most of its competitors. By taking the "leap" Don Seith envisioned back in 1979, Trojan has gotten in on the ground floor of the future. And to hear Harry Schoell tell it, they're only just beginning.